The popular progressive black metal duo Incandescence have been busy as of late, writing and recording their upcoming third full length album titled Ascension. Playing together since 2010, the Quebec natives have made quite a name for themselves in the metal community, especially the multi talented brainchild of the project Philippe ‘Tyrant’ Boucher (Beyond Creation, Chthe’Ilist, Décombres) -who covers everything from drums, guitar, bass, and lyrics. This will also be the first album since vocalist Louis-Paul Gauvreau (The Unconcious Mind, Helzgate) joined the group in 2018. Following up their previous full length albums Abstractionnisme (2013) and Les Ténèbres Murmurent Mon Nom (2016), Ascension will be eight tracks in length and released through Return to Analog Records on March 15th. The album is already available for Pre-order here. Ready to give listeners a taste of what’s to come, the duo have just released their first track of the album, “Tomb Made of Flesh”. Check it out below! 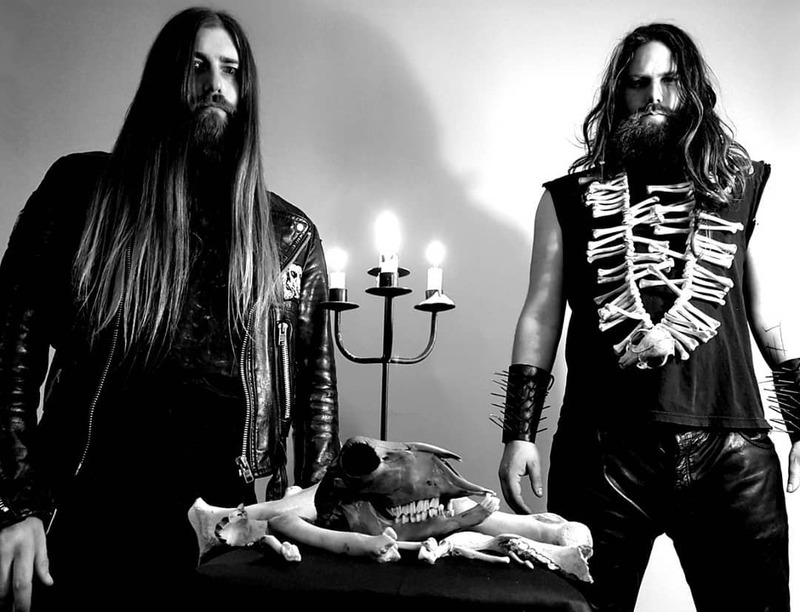 “Tomb Made of Flesh” definitely has all the makings of a good black metal track. Fast tempos full of double bass and blast beats, tremolo picking guitar riffs, Gauvreau’s high-pitched vocals, and a somewhat lo-fi recording quality are all present and accounted for. As the tempo slows, vocals drop in pitch and instruments mellow out around the halfway mark, the song creates a dynamic atmosphere that keeps the track titillating, intriguing the listener to hear what else Incandescence has in store for them. We at Everything is Noise are undoubtedly anxious to hear the rest of the songs on Ascension. Fans of Ne Obliviscaris and Obscura will definitely find a lot to like here! Follow Incandescence on Facebook for any upcoming news on the new album and check out the Bandcamp page for Deathbound Records to hear the rest of the band’s discography! Next PostBad Religion Drops "Chaos From Within" To Announce New Album "Age Of Unreason"